The long straddle option strategy is a neutral options strategy that capitalizes on volatility increases and significant up or down moves in the underlying asset. Another way to think of a long straddle is a long call and a long put at the same exact strike price (in the same expiration series on the same asset, of course). Although many options strategies capitalize on the passage of time, the long straddle is not one of them. Dramatic moves in either direction or sharp volatility spikes are needed for long straddles to be profitable trades. 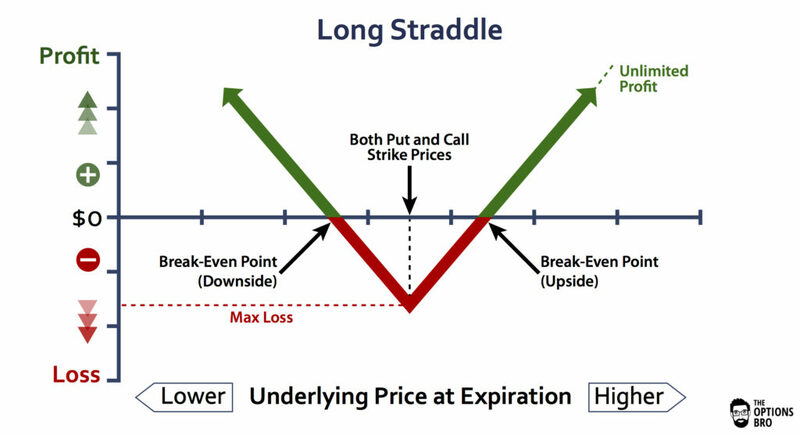 Not to be confused with the long strangle, which involves calls and puts of different strike prices, the long straddle only involves the same strike price options. Out of every online broker with 24/7 customer service in 2018, Ally Invest the has the lowest commissions to trade the long straddle strategy as well as the best free options trading software. Read the Ally Invest Review. Note: Long straddles are always traded with the exact same strike price. 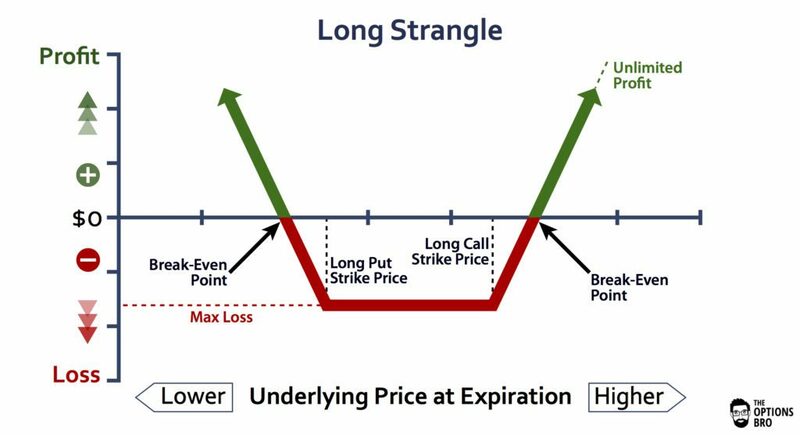 If the long call and the long put are different strike prices, it is considered a long strangle. The net amount spent for this trade is $0.60 ($60), the premium from both long options positions. The best case scenario for a long straddle is for the underlying instrument to completely crash down or surge up. When this happens, volatility tends to expand, and the straddle benefits. If stock XYZ doesn’t budge, the long straddle is going to lose money due to premium decay. Before earnings announcements, FDA deadlines, etc. The maximum profit for long straddle is theoretically unlimited for the upside, and capped at the underlying asset going to zero on the downside. The maximum loss is always the total sum of the premium spent for buying the long call and put options. There are two break-even points for a long straddle. The upside break-even point = long call strike + premium spent. The downside break-even point = long put strike – premium spent. 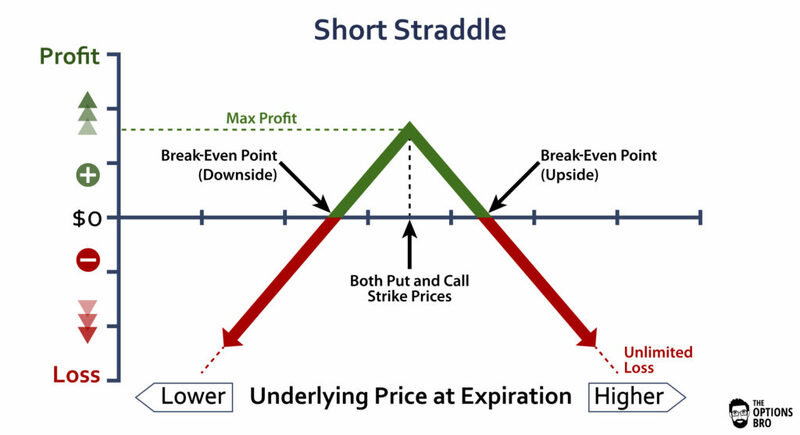 The long straddle option strategy a unique way to create a situation with unlimited profit either up or down that has a very conservative and limited loss. Traders commonly place long straddles ahead of earnings reports, FDA announcements, and other anticipated binary events. The rationale behind placing a long straddle is that the underlying asset is probably going to move sharply in either direction, it’s just too difficult to predict which way it will go. Because the long straddle option strategy is entirely risk-defined, margin requirements are simple. The buying power requirement for all long options positions is equal to the sum of the option premium. In the case of the long straddle, the total premium spent is the margin requirement, and always will be for the entire duration of the trade. Theta decay for a long straddle is not beneficial at all. If the underlying asset (like a stock, futures contract, index, etc.) doesn’t move at all before expiration, long straddles will lose money because of premium decay. This means timing is very important. If the underlying asset moves after expiration, it won’t do any good. When Should I close out a Long Straddle? Because there is an unlimited profit potential on the upside and a very large profit potential on the downside, it is difficult to know precisely when to close out a profitable long straddle. Basically, a long straddle is tantamount to being simultaneously long and short the same asset. Therefore, you should close out a long straddle whenever you would normally close out a long or short position. If the position is unprofitable, and the option premium has neared zero, there is no reason to close out the trade. There is always a chance that the underlying asset can move dramatically, or volatility can increase, and make the trade profitable again. Yes! Due to the fact the fact that straddles are always traded at the money, either the call or the put is going to expire in-the-money. It’s impossible to both options to not expire ITM. However, this is not to say that both options cannot expire almost worthless; the long call can expire worthless and the long put can expire with an intrinsic value of $0.01. Because one leg of a straddle will always expire ITM, this options trading strategy needs additional attention around the time of expiration. If a long put expires ITM, a margin call could be issued if there is not enough cash in your account to short the appropriate amount of the underlying security at the strike price. 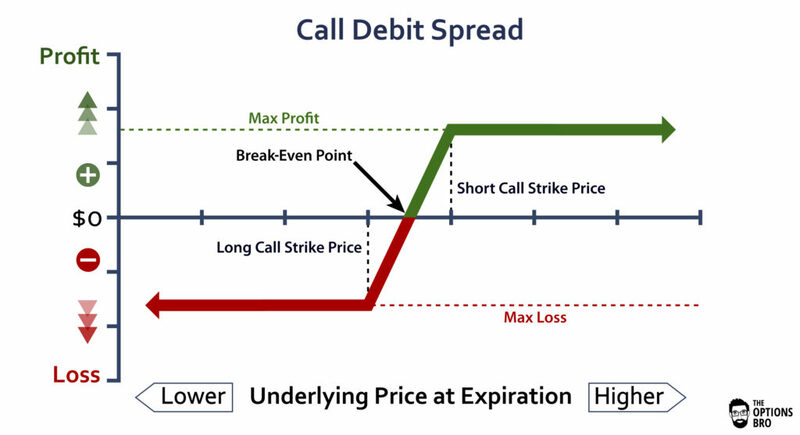 Similarly if the long call expires ITM, a margin call could be issued if there is not enough cash in your account to buy the underlying at the strike price. All potential expiration predicaments with long straddles can be fully avoided by checking expiring options positions the day before and the day of expiration. Depending on your options broker, you will usually be notified of expiring positions that are ITM. On the surface, long straddles seem like the perfect options trading strategy. Who knows if a stock is going to move up or down? Chances are, it’s going to move one way or the other…unless it doesn’t. The only way the long straddle option strategy will not be profitable is if nothing happens prior to expiration, or if volatility collapses. Therefore, long straddles are very interesting trades for volatile markets with large price swings. It's common to trade long straddles ahead of earnings reports, FDS announcements, etc. Ally Invest is the best broker to trade long straddles. Up to $3,500 cash bonus + commission free trades for new accounts.